Liu was detained again in July 1995 after he participated in a petition drive entitled “Drawing Lessons from Blood and Promoting Democracy and Rule of Law,” with Wang Dan and Liu Xiaobo. In March 1998, Liu wrote an open letter to the Ninth National People’s Congress, demanding the improvement of human rights. The same year, the China Democracy Party was founded, and Liu set up the Sichuan branch in the southwestern province’s capital, Chengdu. In early 1999, Liu was detained for a month in the Beijing Detention Center. He was sent home and put under house arrest. On July 7, he was criminally detained in Suining. He was convicted of “subversion of state power” on Aug. 6, 1999, by the Suining Intermediate People’s Court, and sentenced to 13 years imprisonment and three years deprivation of political rights. He was released early on Nov. 6, 2008 for good behavior. He was detained again on June 27, 2010, and sentenced to a 10-year prison term on March 25, 2011, for “inciting subversion of state power” because of articles criticizing Chinese Communist authorities, which he submitted to overseas websites and magazines. He also received a two-year deprivation of political rights and four months of probation. 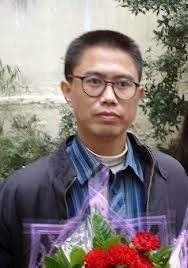 Liu is currently imprisoned in Chuanzhong Prison in Sichuan province http://www.chinaaid.org/2011/03/christian-political-dissident-liu.html). On September 14, 2011, Liu’s teenage daughter fled China and arrived in the United States alone, where she now lives. Liu was born on Aug. 25, 1968, in Suining, Sichuan province.